Now that we have a baby, I've already started to think about what traveling will look like with kids. Eli has already taken four flights and done a 10-hour road trip, but I would argue that traveling with a baby is actually easier than traveling with bigger kids. He just goes wherever we go and does whatever we do, or sleeps through it. He also flies for free right now, but eventually we'll have to be a little more strategic about entertaining older children. What better place to do that than Baltimore? A couple of our very near and dear friends just moved to Baltimore, and we visited the city briefly on our Northeast Road Trip in the spring of 2016. It's a great, walkable, kid-friendly city with an awesome Inner Harbor area, which is a perfect place to find great hotels for your stay. Here are some places you should visit in Baltimore with kids. Known as the birthplace of the National Anthem, Fort McHenry is a place you can't miss in the Baltimore area. Give your kids a little piece of history and let them enjoy exploring the cannons and fort area. This national park also offers great reenactments and special ranger talks! What better way to spend an evening than partaking in America's favorite pastime, a baseball game? Camden Yard is a beautiful park and the Orioles really make it a fun evening for the entire family, especially sports lovers. The park's location in downtown Baltimore is also convenient and easy to reach. This center includes fun exhibits, a planetarium, and an IMAX theatre. There are several special programs designed to stretch kids' minds, too. If you have a science lover, don't miss this stop. Visionary art comes from self-taught individuals. What better place to inspire your kids than the American Visionary Art Museum? Exhibits deal with fun topics like the history of food. Kids under 6 are free, and tickets for those a little older only cost $9.95. Check out the museum's website for more info. This Children's Museum offers great ways to keep kids entertained indoors. They can climb from floor to floor while engaging both their brains and their bodies in fun, educational and sports activities and exhibits. This museum is sure to please young children. There are lots of great, family-friendly festivals to check out in Baltimore. A couple of the best options are the Chocolate Festival and the Fells Point Fun Festival, which both happen in October. For the full list, check out this website. 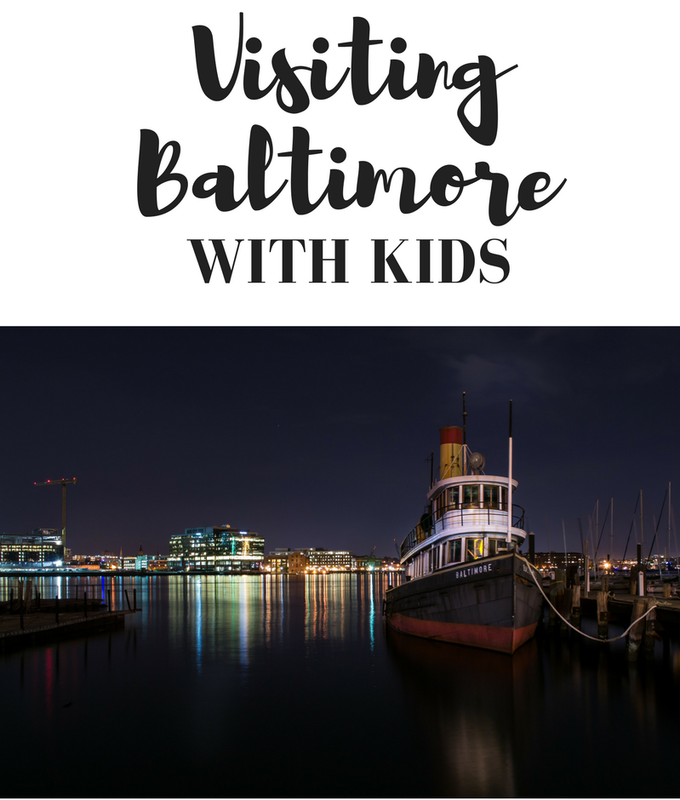 Baltimore is a beautiful, kid-friendly city that adults can also enjoy. These recommendations provide just a small glimpse into all it has to offer. We are definitely going to make a trip out soon to visit our friends and hopefully catch a baseball game this fall. Enjoy your trip! I completely agree that traveling with kids is easiest when they're babies. The easiest flights with kids I've ever taken were when my oldest was a month old and my middle was two weeks old. The best part about traveling with them when they're older is seeing new (and familiar) cities through their young eyes. It looks like they'd love Baltimore! Yes! Thanks for the advice! My hubby and I LOVE Baltimore! But I actually don't think we've done ANYTHING on this list yet.